VIDHYASAHAYAK BHARATI STD. 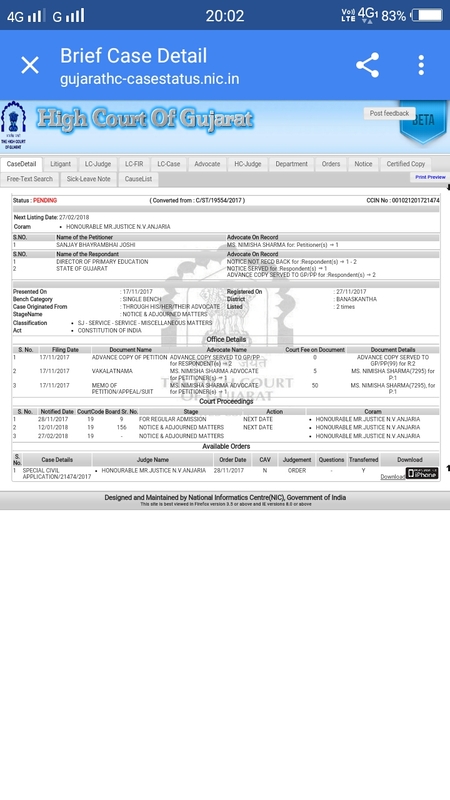 6 TO 8 MATE B.ED NI DEGREE NA INTERNAL MARKS N GANVA BABAT NI COURT MATTER MATE NI NEW DATE DECLARED ~ :: GujaratGk :: Official Site :: Gujarat's No. 1 Educational Website..
NEW DATE FOR HEARING IS 27/02/2018.